Random House Canada, Evergreen Brickworks, and Ben McNally Books are pleased to present An Evening with David Sibley to celebrate the publication of The Sibley Guide to Birds, 2nd Edition on Thursday, May 1st at 7:00 pm. The festivities will take place in Blakes Room at the Evergreen Brickworks. Join us for a very special lunch with David Allen Sibley, author and illustrator of the well-respected Sibley Guides. He is launching his 2nd edition of The Sibley Guide to Birds, and we are honored to have him stop by Bainbridge Island to talk about his book, birds, and whatever questions you have! He will also sign books. Tickets are available for this event below, or by coming in to our book store. Tickets with lunch will go to customers who buy the guide from Eagle Harbor Book Company, and those customers will be seated first. We will need to cap the number of tickets available, so please buy the book or sign up soon! We will alert customers when we reach capacity. It is important that we have your email or phone number to communicate to you about this event. Please include on web orders! 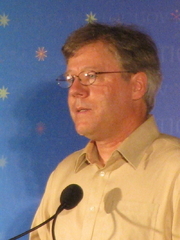 David Allen Sibley is currently considered a "single author." If one or more works are by a distinct, homonymous authors, go ahead and split the author. David Allen Sibley is composed of 3 names. You can examine and separate out names.